Tuesdays in the CFF Church Office. Surrounded by a world of sin, injustice and pain, we can feel overwhelmed and disheartened. 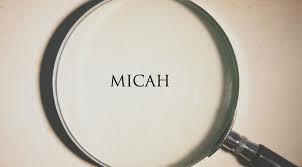 Let’s study the book of Micah together and ask the Lord to help us ‘do justice, love kindness, and walk humbly with our God’ (Micah 6:8) We will gain insight to a prophet who approaches boldly, addressing sin, the coming judgment of God, and His abundant grace and mercy. 3 John... If we could only return to the days of the first-century church-a much more simple, authentic time in the church! That's what many struggling saints think today. But the idea behind such a comment is idealism, thinking that the early churches were free from disagreement and as doctrinally pure as the driven snow. That simply was not the case. An honest look shows Corinth as a church shot through with conflict, Colossae and Galatia as churches struggling with doctrinal error, Laodicea as lukewarm in its affection for Christ, Jerusalem as struggling with financial constraints, and Thessalonica as indifferent, not to mention the hypocritical Hebrews in the days of James. 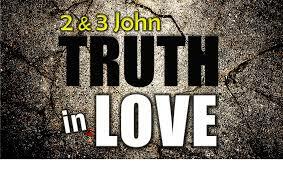 But perhaps we can find the best snapshot of the situation in the first-century church in John's third letter. 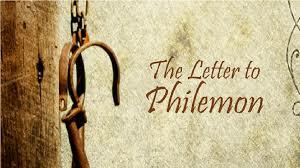 We will also see a reflection of modern-day churches as we examine these fourteen verses. This class introduces people to one another, and to the purpose, mission, and ministry of Christian Family Fellowship. Through studying the Bible together, we will examine and discuss our statement of belief, philosophy of ministry, and our resulting purpose and direction as a local church. We will learn about the church ordinances of baptism and the Lord’s Supper. Finally, we will explore our own talents, abilities, experiences, and spiritual gifts to consider how God has uniquely designed and enabled us to serve one another and His church in love. Although participation in the Discovery Class is required to be considered for membership at Christian Family Fellowship, there is no obligation to formally join CFF at the end of the class. Many people have enjoyed attending this class to learn more about our church and the opportunities to serve the Lord at CFF.